How to Outsmart a Scammer: Knowledge is power. Here are 25 scams to watch for in daily life. One thing I have always been sensitive to is the ability to smell a scam. There are simply too many people who buy in too fast to lies, sales tactics, and trivial deceptions we see every day. I would love to share some of my ideas with you on how I avoid getting tricked by scams. Please keep these tips fresh in your mind and share them with others so we can prevent getting ripped off in daily life. Though we are to maintain a Christian demeanor, there’s nothing saying we can’t watch our own backs so we don’t get taken advantage of. Here’s a bit of Christian advice for steering clear of scammers. 1. Grocery shopping: Recently, I realized that a well known store in the USA called “Dollar General” has been knowingly overcharging customers for their products, by showing one price on the shelf and allowing registers to scan higher prices. Customers usually don’t pick up on this. I started paying attention as I saw more and more people complaining while I was standing in line. Watch prices on the tags on the shelf. Write down prices or take quick pictures with your phone if need be. Even if the price is off by 5 cents, stop and say something. Don’t make a big deal. Just say, “You need to knock 5 cents off that. It didn’t ring properly”. Customers will hear you and begin checking their own items. Follow up in a few days and buy more items, and if the store refuses to fix the computer overpricing errors and continues to knowingly scam customers, call the store headquarters and also report it to your state Attorney General. 2. Car shopping: This is an easy one. Be careful of a sales trick where you notice a mechanical issue when starting the car in the lot, and the salesman blows it off when you bring it up. Also, do not be pressured. Bring someone along and see if the dealership will allow you to drive the car up the road to a nearby mechanics shop for brief visual inspection. Don’t give them a price that you’re looking to spend. Choose 2 categories of pricing. Ex) “Please show me what’s available for $10,000″, and, “What do you have available for $15,000?” Don’t act excited or the car salesman may use certain language to take advantage of your reactions. Never fall for the line, “Someone else is coming to get it tonight, so act now”. That’s a typical sales tactic. Ask which cars have recently showed up on the lot, and stay away from those. They’re new inventory and dealers will want more usually. If you go toward cars that have been on the lot longer, you may get better deals on those. If the salesman is talking too fast and sounds dishonest, request another person. Don’t be afraid to warn them, “I don’t fall for high pressure sales or tactics, so please be 100% honest with me or I need to go somewhere else”. 3. Auto Mechanic scams: This is no secret. There are auto mechanics who claim they replaced parts on your car that weren’t actually replaced. Also, they may continue doing work on your car, claiming it needs a bunch of extra work, when it actually doesn’t. Before you know it, you have a massive bill. Ask for them to provide you parts that were replaced when you walk in to get your car. Ask for no work to be done to your car unless an estimate has been provided to you in writing. Also, take photos of your car exterior and below the hood before taking it in. If you see hoses that look new, make sure they’re not the old ones that have been cleaned off. Look for evidence of old parts that have been shined up. Ask mechanics to point out the work and show you exactly what was done. Write down dates and times of all phone conversations. If there’s an issue and you suspect you’ve been scammed, contact DMV or state attorney generals office. Get every single thing in writing. 4. Real Estate shopping: Some real estate agents have taken courses to see how to be a better salesperson. While there’s nothing wrong with that, some have vowed to certain ethics codes and blatantly ignore them when money is on the line. Don’t buy a house without an inspection (if these are common in your area). Don’t fall for the trick, “Someone else is bidding so you better buy fast” unless you’re sure the home is priced extremely fairly. Even then, don’t let a broker pressure you into placing a bid on a home. Common tactics also include telling you “the deal fell through due to the previous buyer being unable to secure financing, but it’s now available for a lower price”. Or, “don’t worry about that leak. It’s normal and only costs a few dollars to fix”. The house may have failed inspection with the last buyer, causing them to walk away. If you get a bad feeling, walk away and keep looking. If you notice patterns that don’t make you feel confident in your agent, talk to him or her and ask if this is normal procedure and mention that you’re uncomfortable with it. If they don’t change, hire a new broker. 5. For Tenants: Be cautious of Landlords who casually ignore your initial questions when you view a rental. If they tell you nothing but good things, ask more questions. If a landlord asks you for extra security deposit, request the reason in writing, and ask them to sign a document agreeing that you’ll perform a visual inspection together before moving out, and that they’ll agree to advise you in writing with a contractors estimate if they think repairs are needed. Take photos before move in day and save them in case you need them in the future. Landlords can sometimes request extra security in preparation of finding silly reasons to keep it when you leave. 6. For Landlords: Watch for tenants who don’t answer direct questions honestly, or say, “I have a mixed breed dog”. Ask to meet the dog if they have one, and get verification of breed from their vet. Some home owners insurance goes up if you have a dangerous breed on property. Check references. Be sure to contact their employer and verify the amount of time that they worked there, based on statements made on their application. Check the laws and know their rights and yours. 7. Bank mortgage stalling scams: So there’s rock bottom low rates, and you have to meet a deadline before your rate lock expires? But, the bank seems to keep losing paperwork? Or taking their time getting back to you? How do you know that the bank isn’t waiting for the rate to go back up after some stalling time? If the process isn’t moving quickly enough on your refinance or home purchase (ask what the normal time is before you even begin, and be sure they know you expect them to stick to it) then apply pressure and let them know you’re aware of the potential for rates to go up. Make sure they know you’re on to them if you suspect stalling. Give them a deadline if they’re taking way too long. If they don’t meet the deadline, switch lenders. No one deserves your business if they’re making money off purposely stalling in order to make more money. 8. Property taxes: Are you being overcharged for your property taxes? Call your local municipality and find out your assessed value. Then, learn your market value by contacting a local real estate broker and asking how much it will cost to have a quick market analysis done. Never lie and say you’re thinking of selling, in attempts to get free pricing estimates. Simply offer to pay them for their time. Get the market value report and bring it to your town hall if it’s lower than the assessed value you were given initially. If they’re assessing your property for higher than the brokers opinion of value, request a full review, usually called a grievance, in order to decrease your taxes. Use the report to assist you in proving that your value is lower than you’re being taxed on. If your town refuses, you may be able to take them to court. Call a lawyer experienced in real estate if you have questions. 9. Senior citizen high taxes: If you’re over senior age, be sure you contact your town and request to know if there are any tax exemptions that you qualify for, such as a senior exemption. Allowances for such deductions are dependant on your area, state or country. The town will not automatically tell you which exemptions you qualify for in most areas. Seniors should especially follow step #8. 10. Scam companies on the internet: Look up the company in question on Google and type “[company name] scam” on Google, or [company name] ripoff. Check out Better Business Bureau for testimonies from others. Be leary of any high pressure sales tactics, or language such as, “act now before it’s too late”. If you see a deal offered today, sometimes even if they say it expires tomorrow it may still be available next month if you request it. 11. Tax phone calls: Be careful of anyone claiming to be the state or federal tax bureau. Take their number and provide them with no information; not even your name or your street address. Outsmart a scammer. Hang up, and get the correct number from the internet and then call to see if they just contacted you. If not, you’ve possibly just avoided a scam. 12. Fake phone numbers : There are apps people can download to their phones and make it appear that they’re calling you from a number which looks legit at first. To outsmart a scammer, always hang up and redial the company main number and request verification that they called you. If they don’t know you, you’ve just avoided a scam. 13. Internet shared stories: There’s a car sized spider under toilet seats that are poisonous and ready to eat you for snack? There is a deadly drug being sold to kids at schools called Strawberry Quick? Anything scary you see, Google it. For example: Google “strawberry quick snopes” or “huge spider facebook hoax. It is likely that the article will show up #1 on Google for being a hoax. This isn’t outsmarting a scammer, but rather avoidance of being suckered. 14. 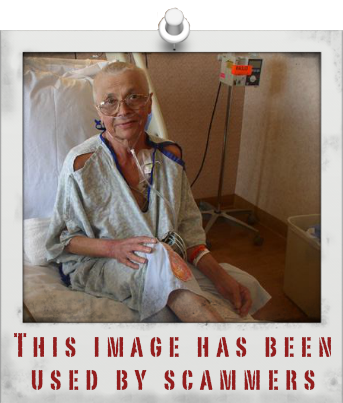 Blog scams: “Too good to be true” or “fear inspiring” stories on blogs are sometimes posted and shared and go viral. This is to get hits and usually for no other reason. You may look at the website name under the blog clip on Facebook to see if it sounds legitimate. If it does, be careful not to jump into the hype wagon unless you’re absolutely sure the article may be credible. Even then, check resources. Even the media can lie. If you want, refer to #13 and Google the story without clicking the ad, to see if you can find the same from another source. 15. Ads offering discounts: If you see an ad for a sale by a service provider, give it a few days or a week and contact the company. Don’t mention the ad. Ask directly for the price of x, y, z. Then ask for the price of the service in question. See if it matches the ad. If not, you just likely outsmarted a scammer. 16. Cell phone scams: Legit companies such as Verizon Wireless in USA may not tell you that your bill can be reduced if they recently came out with other newer plans. Call every few months and ask if you’re getting the best deal. Never forget to continue doing this. I’ve caught my cell phone company a few times also overcharging me for services I never requested, such as extra storage, and data charges I couldn’t prove didn’t exist. I caught Verizon in a clear sales tactic and demanded the lowest price, plus credits for all overcharged billing. My bill went down significantly when I told them I suspected a scam. 17. Car Insurance: Call at least 2 companies and request quotes. If they all sound too high, call a local insurance agency and tell them you received quotes from x and y. Tell them you’re not satisfied and want additional quotes. Usually they’ll give you a lower price. Sometimes by the thousands if you have or abnormally high insurance. One company guaranteed me the lowest rate of $4000, which was more than triple what a competitor quoted me. Had I listened to their guarantee and believed it when they told me they were the lowest around and couldn’t be beat, I would’ve been scammed. 18. Power company scams: Don’t be so quick to buy the stories of “green” power companies. I got into it with a rep from a well known company who swore that his company saved money for people. He showed me a screenshot of a bill that showed thousands saved. I asked him for how many properties that bill covered (knowing he had actually owned several properties). I then asked him to see the last few years year-end savings. Then, I posted it to Facebook and asked everyone who used the company to post their savings after viewing their bills. It turned out the company saved customers money off the bat, but then actually costed significantly extra after a certain amount of time passed, making up the saved difference, plus extra. It goes like this: You saved money here. They overcharged you over there. But you wouldn’t have thought to look over there. So you continued thinking you were saving money. Typical bait. The rep was furious when I figured out the scam and called him out, ripped into me and deleted me off his Facebook. He even went so far as to threaten to tell people I was a “whistleblower fraud”. Lesson learned. Several people cancelled their service with that company after that little online spat which several hundred people witnessed. 19. eBay scams for buyers: Watch for eBay listings that do not offer detailed photos of products. Pay close attention to the wording of ads. For example : Someone is selling art, and the title says, “Original Japanese Print”. You click the ad and notice it says at the very bottom, “You are bidding on an original reprint”. This isn’t outsmarting a scammer. It’s just common sense to read the inconspicuous print. 20. EBay scams for sellers: Before you ship an item that’s breakable, take photos if it’s worth decent money. Also take very clear photos of the item after it’s wrapped in the box. Then ship. Do not provide feedback until your buyer provides feedback. The scam: Buyer breaks their own item. They find your identical item on ebay and buy it in great condition. They claim your item arrived to them broken and want to send you back the broken one (which was theirs, not yours) or request you to give them money back. They then have a new item and they think they’ll get their money back. Request a photo, and ask them how they want to handle it and that you’ll be getting EBay involved to prevent scams, as part of your normal procedures. They may put their broken item in the box and snap a photo or take photos of the broken item and send it to you. Call eBay and say you’re not sure but you suspect a scam. Offer to send the original photos. Usually, they’ll understand if you offer photos, and you may find they instantly close the case. If you get bad feedback, they’ll remove it. Sometimes the buyer will run as soon as they think you’re on to them. Outsmart scammers by taking extra precautions and document proof. 21. Solicitations: Nigerian scams, or scams from any country which claim that there is urgent need for cash (or a promise of some sort to provide you with money) are usually scams. If you receive a scam in your email box, don’t respond right away. Google the topic, and the word “scam”. For example, someone from Nigeria needs bibles for an urgent ministry. Google reveals a “Nigeria bible scam”. 23. Church scams Be careful of churches who go overboard in welcoming you, using “love bombing”. If the church leaders are being way too nice, asking you to start taking part in leading church activities before you even join, seem to stalk your Facebook, pour on the charm, use caution. Find out if the church leader of the congregation has legitimate theology training from accredited institutes. There are actually fake minister degrees one can buy online, build a fast church and start making loads of money off unsuspecting congregations. Not all churches do this, so use discernment and good judgement if you suspect something isn’t right. Don’t just assume they’re scammers. Be polite but pull back until you’ve gotten your research complete and are happy with the results. 24. Contractor scams: Be careful of contractors who a) immediately down talk other contractors, so as to make you think you got ripped off, b) do not show you proper insurance or licensing, and c) ask for all costs up front. Some have been known to show up, promise a job, request money and never be seen again. Outsmart these scammers by advising them that you require full insurance documentation proof and full name of their company. Look on your state division of corporation website to see if their company name exists. Also, go on Spokeo and run the individual’s name and location. As a final step, check to see if the name yields and results in Google after typing in [contractor name] arrest. If all looks legitimate it’s good to get a contract in writing, just to be safe. Checking references can’t hurt either if the contractor is willing to offer you one or two. 25. Facebook friend scams: There are people who can be very tricky when it comes to fooling their victims. Be careful of giving too much information to anyone you don’t know online. Some have been known to use fake names, posing as someone you went to school with, or presenting themselves as a foreign person in need. Usually, scammers have a very sad story to tell. Some people have set up full entire campaigns due to a supposed illness, developed thousands of “sympathizers” and racked up thousands for selfish gain using false stories. Verify stories in any way possible prior to offering money online, especially if you’ve never even spoken to the person. It isn’t to say every campaign is a scam. But extra caution is needed when dealing with people you don’t know. If you get their actual email address, that can also be googled to see if anything suspicious shows up. Please take scams seriously. There’s no reason to be paranoid, but every reason to pay close attention to business dealings and potentially false information. There are scams all over the place, and an educated consumer always knows how to easily sniff them out. 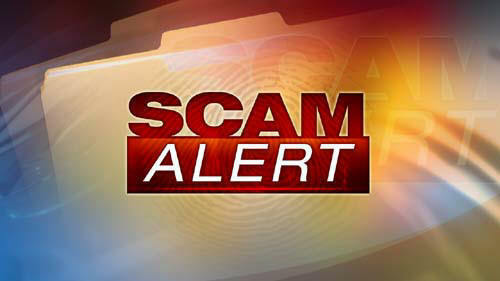 Advise elderly folks and children of these scams as well, so companies have less of a chance to take advantage of them.